Whose money is it anyway? 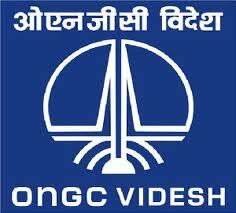 A perspective into the shrouded workings of ONGC Videsh Ltd.
No doubt, readers may have heard the name of ONGC Videsh Ltd., the sister company of Oil and Natural Gas Corporation. It was set up in 1989 to be a procuring agency for India's gas needs by buying up oil fields around the world. The company has right now purchased up to 14 Projects in 16 countries. The company was actually set up to be based on the mighty Chinese Oil Co's like CNOOC, CNPC and Sinopec. 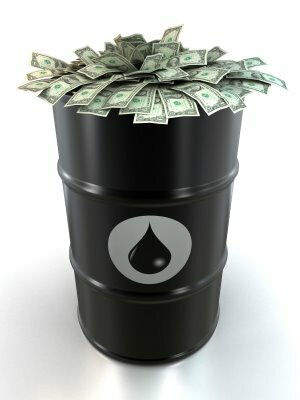 However over the years with big ticket investments from the TAX PAYERS money, the company has been involved in oil exploration in the Myanmar, Russia, Vietnam, Iraq, Syria, Libya, Nigeria, Sudan and South Sudan,| Brazil, Colombia, Cuba, Venezuela and Kazakhstan. The figures that OVL is investing are not reported or divulged to the tax paying public who are funding these projects. We only get to hear once in a while that OVL has invested $5 billion in so and so field, OVL has invested $2 billion in so and so field. What really is not easy to digest is that despite of being in oil exploration business the Company doesn't have any information on the exact amount of investment it made using our money or the quantity of oil produced by it. As of today, we still hear that 80 to 85 % of our oil needs are to be imported from the oil producing companies. OVL has build up a sound Oil and Gas Reserve base since 2001. As on 1st April 2012, the remaining 1P and 2P reserves are 193.38 MMTOE (Oil 98.30 MMT, Gas 95.08 BCM) and 392.70 MMTOE (Oil 250.45 MMT, Gas 142.25 BCM) respectively in 9 countries. If OVL is using our money, we the ordinary, tax paying citizens should know the exact amount it has invested and the exact amount of oil it is drilling and shipping to India. What is a reserve of any use to India, if the oil is not being brought here to shield us against the vagaries and indecent fluctuations of the price of oil in the markest. But as per my research, the investments of OVL are shrouded in a big veil of secrecy with only certain facts being reported in the media. My questions to the OVL are simple and should be in a public realm as we the tax payers should know the following. How much of our money has been invested in the overseas fields. How does OVL explain the investments in the following countries which I believe are violent and not good for doing business. How has it improved our oil situation since 1989? How does the management explain investing our hard earned money in the above countries, whose future can not be guaranteed by the countries themselves, leave alone others. The only countries which are stable as of today are the Russia, Vietnam, Colombia, Cuba, Venezuela and Kazakhstan but the investment made in these countries, too has never been made public nor there are any reports of the output the fields in these countries are giving. I believe in the mantra of Government has no business to be in business and if it is indeed in a business, then the information of the investments it makes should be in the public realm. This is the hard earned money which the tax payers pays to the government for secure living, after all. Kindly write in about if you feel what I am saying is correct or otherwise. If you want to read my views about the happenings in the world click here!